For many enterprises and other large organizations, keeping Exchange Server on-premises is an important part of their overall IT strategy. Why Choose Agile IT as Your Exchange Server Consultant? 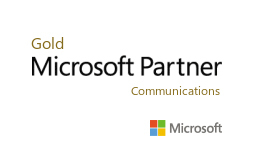 We are proven Exchange server consultants with experience in migrating to Exchange 2013/2016 from all the common messaging systems. Better than nearly any other technology consultants, Agile IT scopes out the “ripple effect” of an Exchange Migration: integration, compliance, unified messaging, security, privacy, and other critical concerns. Exchange Server 2013/2016 is an endlessly powerful messaging platform, and Agile IT will custom-fit your Exchange migration to the exact needs of your organization–there is no “one size fits all” approach taken. And before, during, and after the project, Agile IT will keep a steady focus on knowledge sharing, ensuring that once the project is complete, you and your team have the all the know-how you need to continue to getting the most from Exchange Server 2013/2016. Microsoft Exchange Server 2013/2016 brings a rich set of technologies, features, and services to the Exchange Server product line. Its goal is to support people and organizations as their work habits evolve from a communication focus to a collaboration focus. At the same time, Exchange Server 2013/2016 helps lower the total cost of ownership whether you deploy Exchange 2013/2016 on-premises or provision your mailboxes in the Cloud. Upgrading to Exchange 2013/2016 from Exchange 2000, 2003, 2007, 2010, or migrating from Lotus Notes, Novell Groupwise, and Pop3/IMAP messaging systems creates challenges in preserving data integrity and system stability. Additionally, there is an inherent challenge in avoiding the disruption of workflow processes–those both actual and perceived–of your users. Partnering with Agile IT allows you to make any such disruptions minimal. You’ll benefit from hands-on help and attention from a team with a singular focus on architecting, deploying, and mentoring your IT staff in advanced Microsoft Exchange solutions, using and sharing Microsoft best practices throughout each step. Agile IT has a number of solutions that complement Exchange and are designed to make IT easy for you. Unified Messaging in Microsoft Exchange Server 2013/2016 helps reduce the time and money you spend managing voicemail, while making your users more productive. Voicemail is consolidated into the universal inbox along with email and other message types, enabling users to manage all their business communications in one place. Speech-to-text previews help people act on important voicemail messages even when they are in a meeting or otherwise unable to take calls. Also, your users can easily create customized greetings and call transfer options, reducing the likelihood of missing an important call. Exchange Server 2013/2016 integrates voicemail with your overall business messaging infrastructure and provides scriptable management commands, helping IT staff optimize their workflows. In addition, Agile IT will help you understand the granular retention policies and information rights management protection help maintain security and compliance.